A new article at the Huffington Post by Sarah Peters (Research Links Severe Mental Illness and Substance Use) reiterates the observation that mental illnesses and substance-abuse disorders appear to be strongly connected, and points to new data supporting those observations, as well as further insights being examined in connection with the new data. Specifically, the University of Southern California and Washington University School of Medicine St. Louis conducted a joint study of nearly 20,000 individuals, collecting data over a 5-year period. “What we are learning is that this overlap of mental illness with addictive disorders is not random,” said the National Institute on Drug Abuse Deputy Director Wilson Compton. The organization, part of the National Institute for Heath, provided the funding for the study. 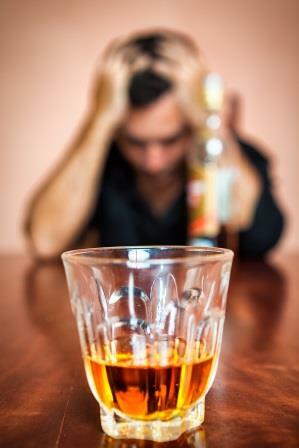 The study examined nicotine, alcohol, marijuana and recreational drug use in mentally healthy test subjects and psychiatric patients diagnosed with schizophrenia, bipolar disorder or schizoaffective disorder, finding that 30% of those with a severe mental illness engaged in binge drinking, for instance, compared to 8% in the mentally healthy population. From Psychiatric News Alert, March 24, 2014: Stopping smoking is associated with significant improvements in anxiety, depression, stress, positive affect, and psychological quality of life. And the strength of the association appears to be similar for both the general population and clinical populations, including those with psychiatric disorders, according to findings from a meta-analysis reported in the British Medical Journal by Paul Aveyard, a professor of behavioral medicine at the University of Oxford in England, and colleagues. The meta-analysis included 26 studies that measured subjects’ mental health before and after they quit smoking. The studies examined six measures of mental health: anxiety, depression, mixed anxiety and depression, positive affect, psychological quality of life, and stress. Eleven of the studies were cohort studies, 14 were secondary analyses of cessation interventions, and one was a randomized trial. “This study illustrates the importance of providing tobacco-cessation treatment to individuals with behavioral health conditions, to help with both improvement in symptoms of mental illness and overall physical health,” Lori Raney, M.D., told Psychiatric News. “Psychiatrists have an important role to play in assisting in this treatment and can provide guidance and support to patients and in helping our colleagues in other medical settings.” In addition to being medical director of Axis Health System in Durango, Colo., Raney has a special interest in the relationship between smoking cessation and mental health. The next installment of the Open Mind Lecture series hosted by the Semel Institute for Neuroscience and Human Behavior will be a presentation by author David Sheff and Dr. Timothy Fong. David Sheff, author of the critically acclaimed book, Clean, and the New York Times best-selling memoir, Beautiful Boy: A Father’s Journey through His Son’s Addiction, will discuss new approaches to treating and preventing addiction and addressing the mental illnesses that commonly accompany addiction. Dr. Fong, Director of the UCLA Addiction Medicine Clinic, will provide information about the latest scientifically-proven treatment strategies for addiction, as well as insight into how addictive disorders affect patients, family and society. The Semel Institute is a world-renowned multidisciplinary research institute dedicated to the study of mind, brain and behavior. Since its founding, the Institute has assembled more than 370 physicians, clinical researchers and scientists to work collaboratively in studying psychiatric and neurological disorders and to develop new, effective treatments that improve lives. The Open Mind Lectures are free to attend, but registration is required. For questions call Patty Evans at 424-214-3851 or patty@friendsofsemelinstitute.org. Parking for this event available in Sunset Village.